Superbly located in one of the most elegant parts of Rome, the 3 star Hotel Piazza di Spagna is ideally positioned for your Roman sojourn. 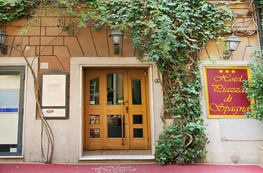 Offering 20 uniquely designed private guestrooms with all modern facilities, this family run centrally located Rome hotel is a charming oasis. Build on a small quiet side street, in only 2 minutes you will be at the famous Spanish Steps from which we take our name. Recently refurbished, guests will be welcomed by a marble stairway and ornate furnishings. Each guestroom is individually furnished with its own character to add to the personalised atmosphere. See our Rooms & Services page for a full list of amenities. Surrounding the Rome Hotel Piazza di Spagna are the most famous of Roman monuments including the Trevi Fountain, Piazza del Popolo, Villa Borghese and of course the most famous Italian and international fashion houses. See our Location page for more details. 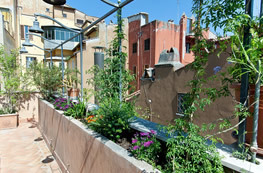 You will find the best in Rome budget accommodation right here. We offer special deals to all types of travellers all year round. You can browse our Reservations page with no obligation to book to find the best deal to suit your needs. 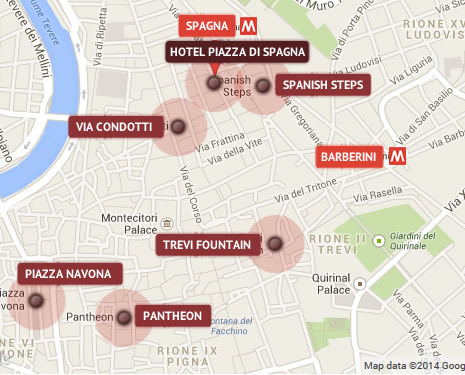 The staff at Hotel Piazza di Spagna Rome have compiled a list of Useful Links to help you plan your trip to Italy. We have also included a list of partner hotels in Florence, Venice and Sicily should your travels also take you to those glorious places. You will not be disappointed with our modern, comfortable and above all safe guestrooms. 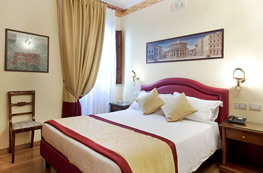 To see what exactly is waiting for you at our 3 star accommodation go straight to our Rome Hotel Piazza di Spagna Photo Gallery.